Established by Fr. J. Joos, the original church was built in 1896. Fr. William Hayden was the first resident pastor. Fr. Pete Ryan was pastor from 1903 to 1913 establishing a mission church in Hartford. Fr. John Griffin was pastor from 1913 followed by Fr. J. Lahey (1928-1946); after which the parish was served by several pastors and administrators. Fr. 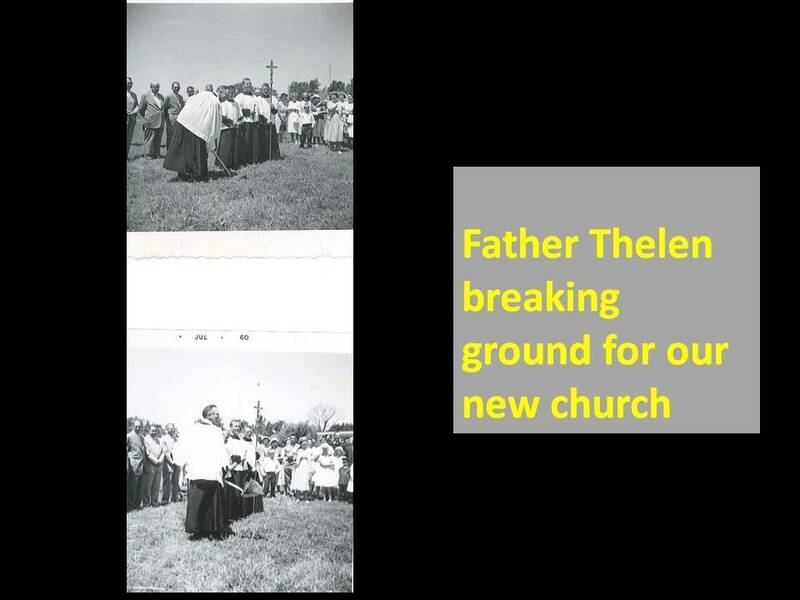 R. Thelen was appointed pastor in 1949 and Bishop Albers came to bless the school in 1952. The Sisters of St. Joseph staffed the school from 1952 to 1975. The new church was dedicated on May 17, 1961. In 1971 we became part of the Diocese of Kalamazoo with the Most Reverend Paul V. Donovan as its first bishop. Fr. Adolph Nadrach, Fr. Charles Fischer, Fr. Donald Wieber, Fr. Massimiliano Camporese, Fr. Gordon Greene and Fr. John Peter, msfs were subsequent pastors. Our parish became part of a collaborative in 2017 with Fr. Robert Creagan as canonical pastor and Fr. Patrick Craig as our resident priest.